Ikamva Youth is one of our 2015 Feedback Fund recipients. Recently they shared this insight with us. 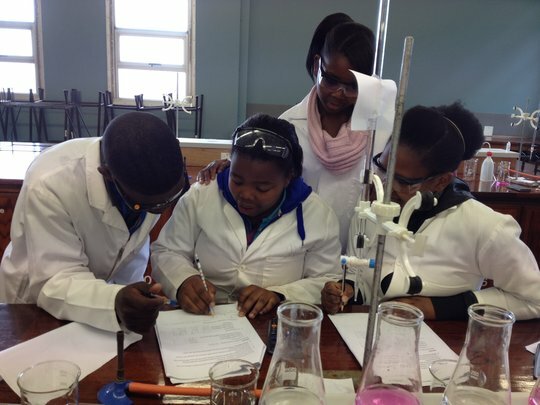 We provide tutoring and life skills programmes to high school students in South Africa, and have many alumni that we track. We want to know whether IkamvaYouth is helping them find jobs or helping them live with dignity in other ways. We decided to collect their feedback with an online form using SurveyGizmo integrated with Salesforce. Because Salesforce can be rather tricky, we used some of the Feedback Funds to hire a consultant to assist with the customization we needed. This is more complicated to build, but a far better experience for the end user, and a better way for us to use data. Our major concern was that it looked like we would need to engage the services of a consultant every time we created a new survey. Where would we find the money for that, going forward? Make a copy of the previous survey on Surveygizmo. The Copy feature on Surveygizmo copies the entire survey, including scripted actions (such as pushing/pulling data to/from Salesforce). Remove the questions we no longer need but keep the ones required for updating Salesforce. Then we can add any new questions to the survey. The survey link has to be sent via Salesforce, so we created a copy of the old email invitation, and just edited the survey link, and some of the email text. This is important to do, otherwise recipients will just be directed to the old survey, rather than the new one. Consolidates our data in one place. We can track which of our alumni have completed the survey (via our records in Salesforce) then personalize their experience by pre-populating the form with information. We can avoid sending email reminders to those who’ve already completed the survey. The combination was more cost-effective than building it all around either one of these platforms alone. We can reuse this approach with new surveys without having to rebuild the integration. We’re really excited about having learnt this really simple tip that can help us save both time and money when we do follow-up surveys in the future! Feedback is not a once-off event, but rather an ongoing process, so coming up with ways to make this process simpler is really important. Author Thabisile Seme is the Alumni Coordinator at IkamvaYouth. GlobalGiving’s Comment: Great! Doing what you would do anyway, but in a smarter way, is what this be more effective blog series is all about! It is an example of Learn, Act, Learn.